You get to go to sleep, but your skin doesn’t. It has to work all night to rejuvenate so you look fresh and healthy in the morning. 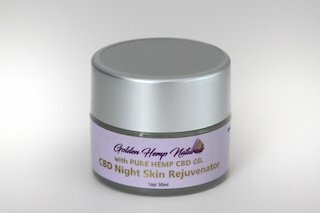 Give it the best to work with in this Aloe infused CBD Oil cream. Help your skin moisturize, and revitalize over night with rich emollients, cooling Aloe, and the soothing properties of CBD Oil. Anti-oxidants reverse the damage that skin cells are exposed to on a daily basis, so you can wake up with beautifully rejuvenated skin. What more could a girl want?